year period. The medal was presented on-site by the President of Ireland, Mrs. Mary McAleese to Mr. Shane de Blacam of architectural practice de Blacam and Meagher, in association with Boyd Barrett Murphy O’Connor, as the best new building completed in Ireland in the three-year period 1995-1997. Incidentally, the President’s visit came on the two hundred year anniversary of the founding of the Royal Cork Institution, which subsequently evolved into Cork Institute of Technology. The RIAI panel were impressed by the building’s “powerful architectural expression”,“its dramatic fusion of spatial and structural form” and the “imaginative use of detail and subtle references to local masonry traditions” – this latter point refers to the fact that the predominant materials in the dramatic symmetrical south exterior curved façade, with its central entrance hall, are clay bricks and white limestone, similar to the traditional use of these materials in the city of Cork, the so-called “streaky bacon”mix. This traditional blending of materials continues in the major internal structural details, including interior pillars, which are a mixture of red brick and block. which is brightly lit by north light within a deep plan. bookshelves. Each study area has a unique quality; some seats have window views or views across the reading area. In a total area of 2,700 square metres, the library seats more than 600 readers in an academic and architecturally-enriched atmosphere. With its well proportioned study desks, the library offers the perfect environment for study, research and reflection. Wi-Fi is available throughout the entire building, thus offering the potential to develop the Information Technology aspect of modern academic research and learning to the highest level, successfully integrating traditional library facilities with computing facilities. The challenge was to create a building which allows computers and books to inhabit the same environment, each enhancing the other, with books visible from all study areas. Shelving space is provided for more than 80,000 volumes along with an extensive back catalogue of periodicals and electronic access to several thousand more full-text digital journals. These cover all subject areas taught in the college including Science, Engineering, Business, Social studies and Humanities. This material is supplemented by specialist collections in the libraries at the Crawford College of Art and Design, the Cork School of Music, and the National Maritime College of Ireland, all of which are under the auspices of the Cork Institute of Technology. 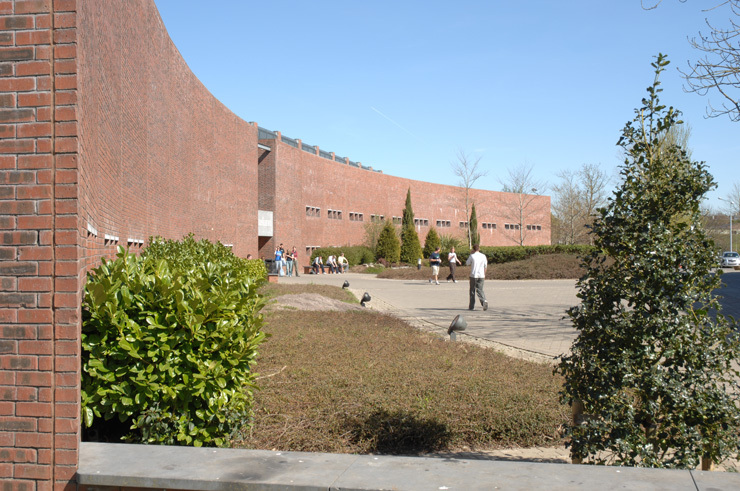 The CIT Library and adjoining IT complex has added a building which helped to recast the image and ideology of the Institute, evident in the physical developments of the college which have taken place since its completion, among them a new Student Centre, Administration Facility and new building for the Department of Tourism and Catering.